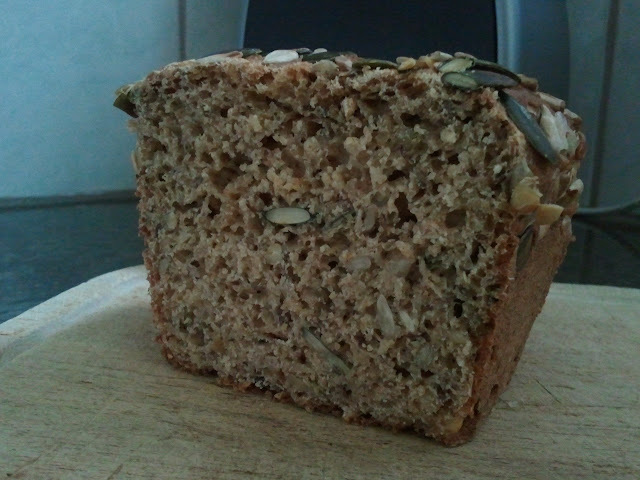 Aussie in a Swiss kitchen: Seedy Bread (variation of 5 seed bread: source" Everyday Cooking with Thermomix"). Seedy Bread (variation of 5 seed bread: source" Everyday Cooking with Thermomix"). 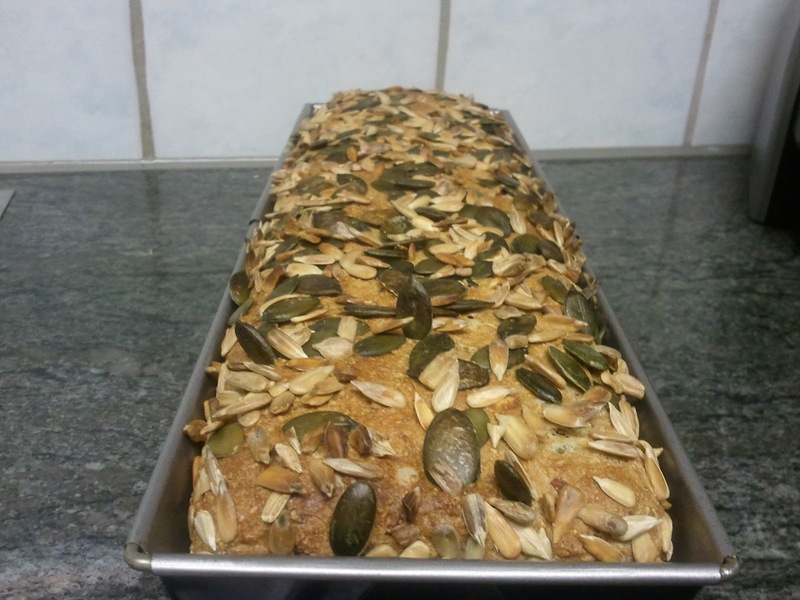 My family loves the EDC five seed bread and I make it 3 to 4 times a week. My variation is to use sunflower, pumpkin and linseeds, plus live sprouted seeds (if you don't feel like doing them yourself Migros sell them, usually they're in the herb and salad section). Grind the seeds on speed 9 or 10 for 30 to 60 sec, add remaining ingredients and knead on interval speed for 3 min. Transfer to a well greased tin (I use a 25 -30 x 10 cm expandable form), top with a mixture of extra seeds. Allow to rise for about 30 to 45 min, in a warm place. Bake for 30 to 35 min in a preheated oven, 200 °C. Is this bread heavier/denser with the wholemeal flour? Do you find it rises similarly to the original EDC five seed bread?